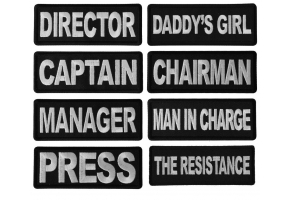 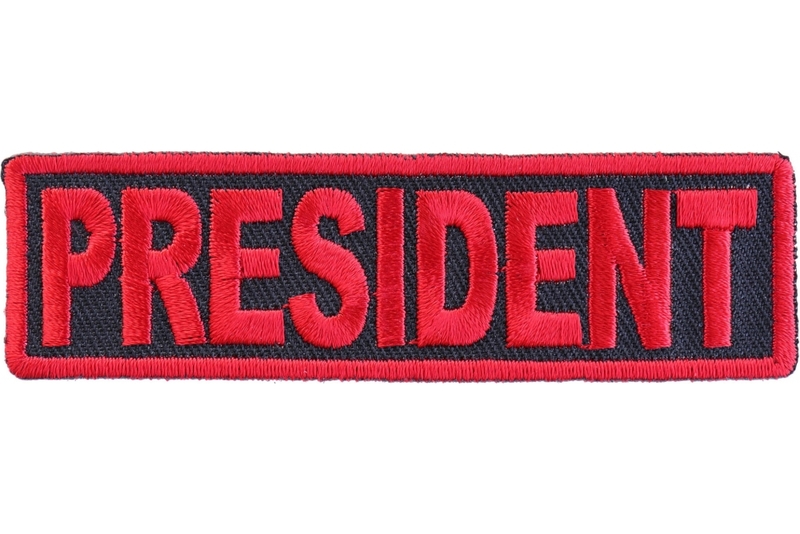 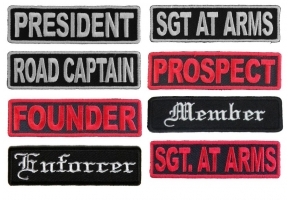 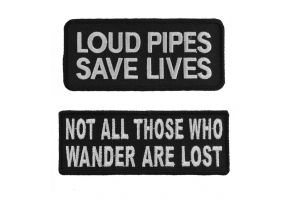 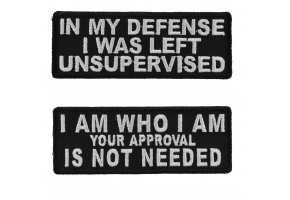 President patch is embroidered in red over black measuring 3.5x1 inches featuring red borders. 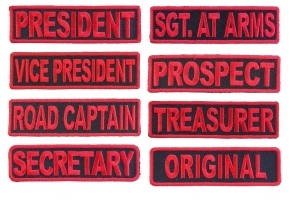 A motorcycle riding club patch for clubs using a red color theme. 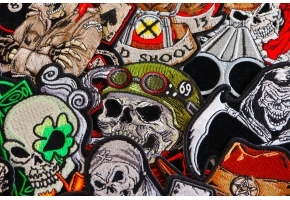 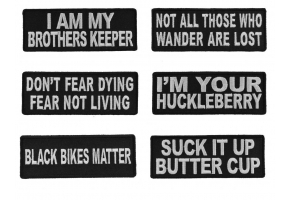 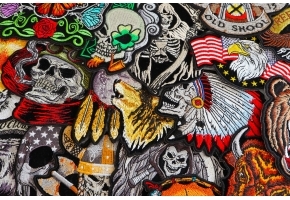 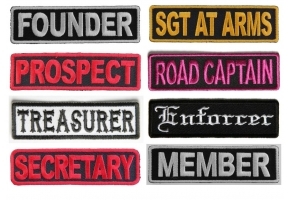 President patch for your biker clubs President.